Indirectly criticising Prime Minister Narendra Modi on Wednesday, former Uttar Pradesh chief minister Akhilesh Yadav asked why is it that soldiers from all parts of the country are sacrificing their lives, except for those hailing from Gujarat. Akhilesh asked,"Many soldiers from Uttar Pradesh, Bihar, Madhya Pradesh, and even from southern India have sacrificed their lives for the country, but do tell me if any soldier from Gujarat has done so?" Referring to the recent ceasefire violation by Pakistan in the Krishna Ghati sector of Jammu and Kashmir, where two Indian soldiers were killed and mutilated by Pakistan's Border Action Team ( BAT), Akhilesh questioned the lack of debate over the matter. The Samajwadi Party (SP) leader further alleged that the Modi government was indulging in politics of martyrs, nationalism and Vande Mataram. 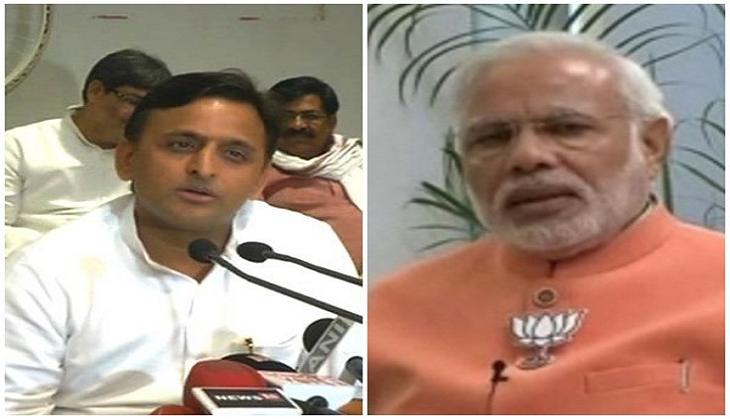 This is not the first time that Akhilesh has targeted the Prime Minister. Earlier, in the run up to the Uttar Pradesh assembly elections, Yadav had urged Bollywood star Amitabh Bachchan not to advertise 'donkeys' of Gujarat. The Prime Minister was doing massive campaigning in UP elections, and Akhilesh took political battle to a new low. "There is an advertisement on donkeys. I will ask the biggest superstar of this century [ Amitabh Bachchan] not to promote the donkeys of Gujarat," Akhilesh said. Akhilesh's Samajwadi Party lost heavily in the recently held Uttar Pradesh Assembly elections wherein Bharatiya Janata Party (BJP) secured a clear-cut majority and formed government led by Chief Minister Yogi Adityanath.